New Year's Eve Melbourne: The best ideas for what to do as a family. The key to having a fun New Year's Eve with the kids, without the FOMO. I remember, one of my favourite memories as a kid was watching the fireworks on TV at home with my family on New Year’s Eve. Sparklers at midnight were yearly traditions too. And as the years went by, this tradition continued. We then got older, and ‘cooler’. The excitement of not spending it at home grew, and the need to be in the city to ‘experience’ the fireworks became a need. It’s amazing what we do for fireworks! I remember the thousands and thousands of people I was surrounded by the one time we ventured into the city for NYE. It also took us close to four times the usual commute to get home. That became the one and only time we ever did that as a family. Now that my husband and I have a daughter, we have the opportunity to create our own memories and start our own New Year traditions as a family. There are so many awesome ways to reign in the New Year and not miss out on the city’s spectacular fireworks… while having to deal with a hungry child who needs to pee and the port-a-loos are all queued up. Eat early and make the most of rooftops. Consider booking into a restaurant and having an early celebratory dinner with friends. Over the years we have been to Longrain in Melbourne, Mama Rumaan in Docklands and Sake Restaurant & Bar. It’s usually a big group of our wonderful friends who join us, and this group has grown to include a few little humans too! By 7.45pm, we are usually paying the bill, and back on the train and heading home to start part two of the NYE celebrations. If you or someone you know has a rooftop with a view of the city skyline, make a beeline for it. Last year we had rooftop nibbles and drinks with a faraway view of the amazing city skyline – Melbourne’s fireworks are made to be seen from afar, so you don’t feel like you’re missing out on anything. 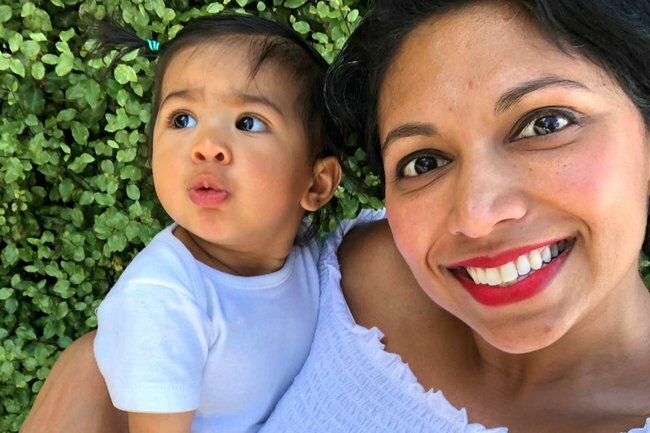 My advice if you’re keeping your kids up beyond their bedtimes – make sure they get some nap time before the midnight fireworks and wake them up for the main event. Or have the baby monitor on if you’re close by, watching the stunning fireworks with your friends. How&apos;s the serenity? Last year&apos;s fireworks from afar. Image: Supplied. See what&apos;s happening at your local park. I love when kids have the space to run around. We’re considering potentially heading down to our neighbourhood park for a picnic and a bit of swinging and sliding in the playground. Also Neil can take his guitar down and we can jam in the park, and be all rugged and cushioned up for the fireworks, which we can watch on our iPad (note: charge before you leave, or bring a portable charger). Extra points if your local park has a view of the city skyline! It&apos;s a major draw for me having a park walking distance from home - no jostling through the crowded trams, trains and buses to get home with a tired little one. Have an indoor picnic around the TV. Have you ever had an indoor picnic? A @taramilktea-inspired indoor picnic (see below) in the living room sounds like the perfect plan. Featuring fairy lights, cartoons from Netflix, takeaway Thai, good bottle of vino, matching pyjamas, and the fireworks on the Channel 7 broadcast. Everybody’s happy! We don’t have a barbecue, but my sister-in law and partner just got a new one, so the idea of heading to their place to christen their new barbecue sounds like a good plan. A few gourmet sausages, some grilled pineapple, maybe some prawns, a bit of corn, and a cold beer or two followed by NYE fireworks on TV. Liking this a lot! 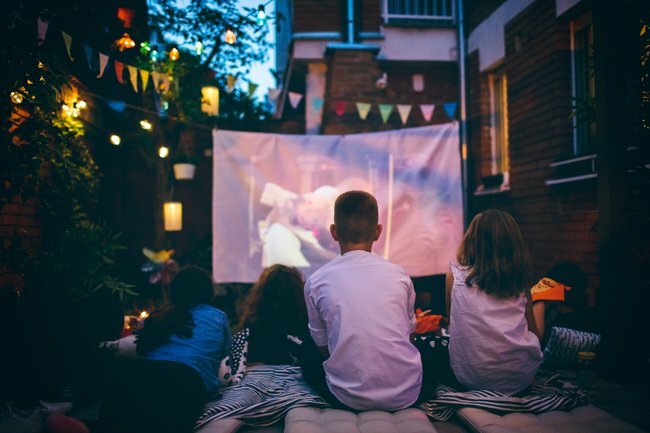 Does anyone have a projector they can hook up in their backyard? The idea of reigning in the New Year with TV&apos;s fireworks projected live on the fence sounds ridiculous, and undeniably remarkable. Should we watch The Greatest Showman again while we&apos;re waiting? Image: Getty. We live in an apartment, so another option is to organise a block party! There are so many other kids that Nia can hang with too. Everyone can bring a plate, and BYO drinks, and we&apos;re all set. Looking back, nothing beats those NYE memories with the fam at home. Whatever you decide to do this year for NYE, hope it’s the beginning of a new tradition for you and your family. Fellow Melburnians and visiting friends, here&apos;s some helpful info from the City of Melbourne if you do plan to venture into the CBD. 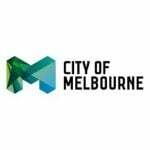 For more ideas of what to do on NYE, head to City of Melbourne&apos;s What&apos;s On page. 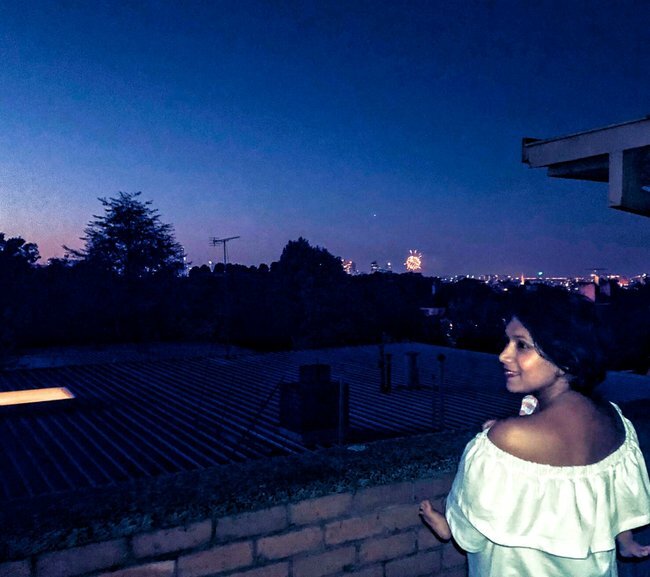 Follow Nilu Noble at @melbourne.escapades. What&apos;s your plan for New Year&apos;s Eve? Is it better to stay home or go out with kids? This content is brought to you with thanks by our brand partner, City Of Melbourne. Did you know that wherever you can see the city skyline you’ll be able to see the midnight fireworks? Know a friend with a balcony view? Or a park close to home overlooking the city? Now’s the time to start planning how you’ll ring in 2019. If you decide to come into the city this New Year’s Eve, it is important to decide which of the four official live sites you will attend before making your way in. Due to large crowds, long delays should be anticipated, especially in the central CBD area.